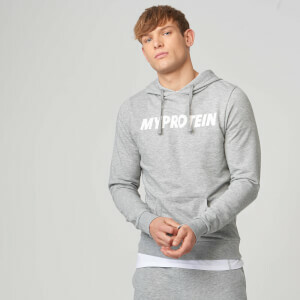 Myprotein Performance zip hoodie, perfect for training in. A hood with adjustable drawstring ties and a full-length zip comprise the lightweight construction, which is made from a soft knit with Lycra stretch for a regular fit. Finished with the MP logo on the chest. This is a great zip up for layering in the weight room. It has comfortable material and looks and fits well. The only slight problem is the stitching on the wrists pulled through pretty quickly. It still looks good either way and I would recommend 10/10. I bought this sweatshirt three weeks ago, and I am very satisfied with the product. 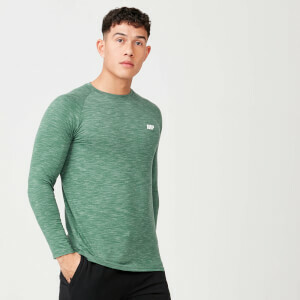 If you are looking for a lightweight, comfortable, and breathable sweatshirt for lifting, this is an excellent product for you. The fabric wears nicely and absorbs sweat during a workout keeping you cool and dry. The fabric also stretches increasing comfort during a workout. The size runs very true to the scale on the website. I am 5’ 9” and 170lbs; I bought a medium and it fits great. Through three wash cycles there is no sign of shrinking. The one downside to this product is the zipper. It tends to stick and jam up quite easily. Although for the price, the quality of the product is very satisfactory. I would recommend this to anyone looking for something similar to an Under Armour or Nike athletic sweatshirt.